No matter your age, accumulate too much debt and you’ll drown in the interest. However, different generations look at consumer debt through very different lenses. Jobs, mortgages, and bank accounts have changed dramatically in the last century. The average Canadian now owes $22,000 in consumer debt. 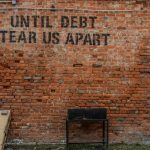 What is your generation’s experience with debt? Generation X: “We’re focused completely on paying off our homes. We are a generation of ‘don’t spread your feet further than your blanket.’ You can’t afford it, you don’t get it. [My mortgage] is a debt I have to carry, but it’s still uncomfortable that I owe all that money.” — Sheena Zain, 47. Millennials: “I think that although millennials spend on things, there is variety. I think people are investing in different ways. It’s not all about spending for millennials, there is some long-term thinking there. Some young people might look forward and say ‘I expect not to be able to own a home, I expect not to have a steady job. '” — Baraa Arar, 20. Retirees: “For me, it was something to be avoided. I remember poverty, I remember that money was scarce, so when I got it I hung on to it. By my age, most of us don’t have consumer debt. It’s something I’ve avoided like the plague.” — Robert Day, 81. What do you think of credit card debt? Generation X: “I learned the hard way. When I was 18 I got a credit card right away. Then being 18, I decided one time I’d go to Jamaica with my friends. Stuff was more expensive then I had planned for but it didn’t matter because I had a credit card. I had to come back and realize how much I had to pay up. That was my first experience with debt.” — Karim Pringle, 37. Millennials: “I don’t personally feel the need to have a credit card. But you have all the major banks offering [them] to students. For me, that’s wild. That’s a dangerous place to be especially when you’re in your first few months of university and expenses are coming up.” — Baraa Arar. How is the way we handle money today different from decades ago? Retirees: “I had to run a paper route, if anything will teach you money management faster I don’t know it. I made $3.60 a week. That teaches you the value of money. When my dad died he left us flat broke because he was in debt. I’m a Depression kid, nobody could afford me. My approach to money and debt is brought about by the fact that my dad was ripped by the depression.” — Robert Day. Sheena Zain: Zain, 47, is the former owner of Aziz and Company, a popular Indian-themed store in Centretown that recently closed after half a century in operation. Karim Pringle: Pringle is a 37-year-old vet technician, who learned about debt when he decided to become financially independent from his parents as a young adult. Baraa Arar: ​Experiences are more valuable than possessions, according to this 20-year-old. Arar is about to graduate from Carleton University. Robert Day: A child of the Great Depression, 81-year-old Day learned from his father about debt and how to avoid it. The retired public servant still lives by those financial planning tips. Did Gwyneth Paltrow and Angelina Jolie seal Harvey Weinstein’s fate?